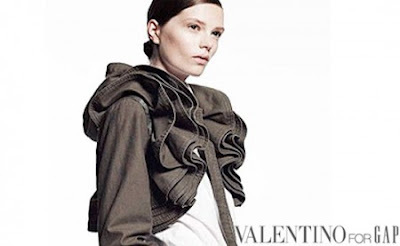 Valentino + GAP = LOVE. Check this out. Come on, will these even reach our shores? I am really feeling this collection! News about this Fall collaboration can be found here. The collection is only available in Europe. The hubby is in Europe. I'm a size XS. Is someone reading this? (Someone=hubby). 0 comments on "Valentino + GAP = LOVE"